Ring News 24Boxing NewsWho Is Boxing’s Pound For Pound King Right Now? The word “reluctantly” could be heavily associated with boxer, Andre Ward who decided to retire from boxing last week. The former two weight world champion felt that his body has nothing left to give after everything he has achieved in his 13 year professional fighting career. His boxing style unfortunately failed to captivate audiences but that didn’t stop many from admitting that they thought that he was the best Pound for Pound boxer in the world after his two wins over Sergey Kovalev. 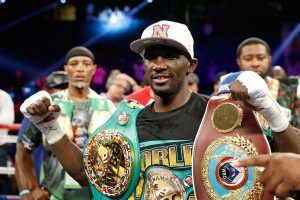 Let’s start with Terence Crawford. 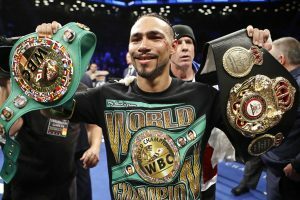 The unbeaten 32-0 two weight world champion is very likely to be stepping up to welterweight next and will be sure to be seen in some exhilarating battles. He unified the super-lightweight division in his last fight and became the undisputed champion with an impressive 3rd round knockout of Julius Indongo. Crawford upset Ricky Burns’ 7 year reign as WBO lightweight champion, which was no easy feat. 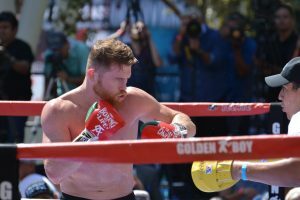 However, he has still failed to become a household name, although that could change in the near future when he will put his skills to the test possibly against the likes of Keith Thurman and Errol Spence Jr.
Gennady Golovkin should have beaten Saul Alvarez in their thrilling fight a couple of weeks ago, is the opinion of most. But before that much anticipated fight, the Kazakhstan boxer who is often referred to as GGG, was giving the fans thrilling knockouts although the jury was still out in regards to how good he really was. That is until he met Canelo and Daniel Jacobs! 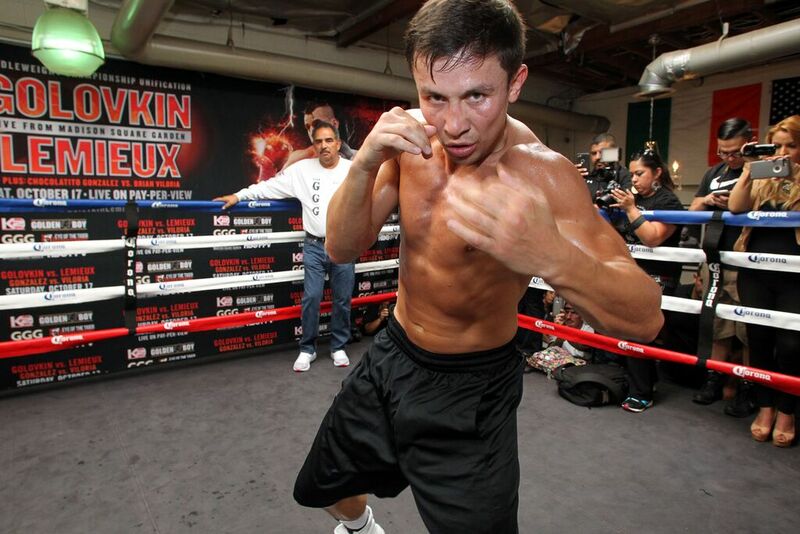 It has been said that GGG was outboxed by Jacobs but looked the more assertive boxer against the Mexican. In terms of ring IQ, there are very few that match him. Speaking of Saul Alvarez, the red headed boxer probably should be given consideration. Beaten only once by Floyd Mayweather, he does have questionable victories over the likes of Erislandy Lara and has fought men that were smaller than him recently. His knockouts over James Kirkland and Amir Khan look impressive on paper but those guys had poor punch resistance, as their past in the ring proves. Vasyl Lomachenko may have had only 10 bouts with 9 wins so far, but he’s already looking to define his professional career with a fight with Guillermo Rigondeaux in December. That fight should be a technical spectacle. He has already secured the achievement of being a champion in two weights, and besides Rigondeaux and possibly Orlando Salido who gave him his first loss, there does not seem to be anybody that can give him a stern test. Lastly, Keith Thurman may have had only one contest this year but if there was a name to pick if you were only going to be in the ring once in 12 months, then Danny Garcia would be that name! The fight didn’t pan out in exciting fashion, unfortunately, but nevertheless Thurman proved his point as being the rightful main man of the welterweight class. The WBA and WBC titeholder has the right fighting manner to certainly become a strong talking point long after he has retired.